It all happened on January 21, 1924. Vladimir Illych Ulyanov, alias Lenin, the world famous leader of the Bolshevik Revolution in Russia died at only 53, after three severe strokes. In fact, in August 1918, a deceived socialist revolutionary woman, Fanny Kaplan, attempted to assassinate him, shooting him in the jaw and in the neck. Lenin survived his injuries, but he was weakened and progressively, the enormous efforts of forging a new country and the greatest and most ambitious political model that has ever been conducted – the communist system – lead to his early death. The short life of Lenin was extremely intense. Ever since he saw his older brother, Alexander, arrested, convicted and hanged for plotting against Tsar Alexander III, his hatred for the repressive, autocratic rule of the 300 years old Romanov dynasty and of its effects on a huge but impoverished empire was hardened. 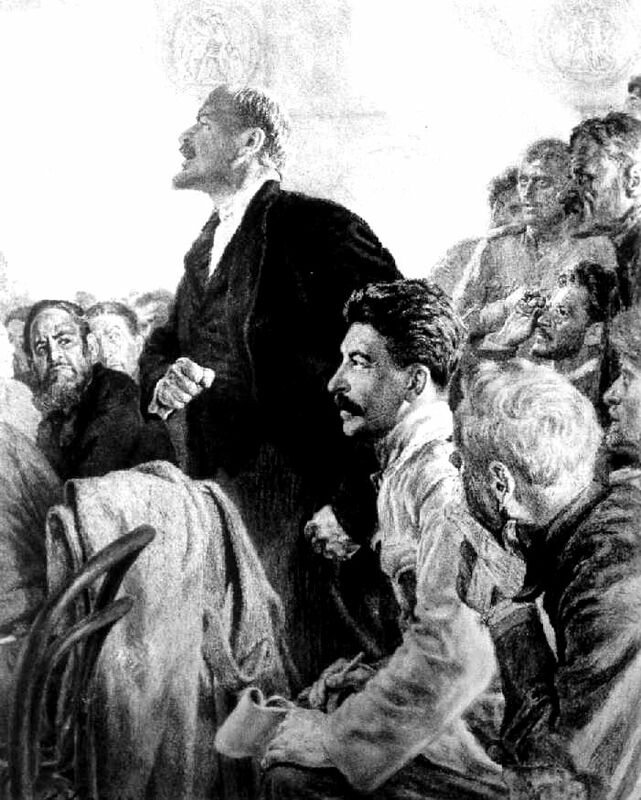 During his studies of law at the University of St. Petersburg, Lenin began to analyze Marx’s theory and the problem of the revolutionary changes in Russia, trying to find solutions for developing a radical class consciousness among the workers who, at that time, behave more like the peasantry. A brilliant and versatile political tactician, Lenin struggled to cultivate among the workers the necessity of a revolutionary party that should be the “vanguard of the proletariat”. Although he was forced into exile in Germany, France, Switzerland, Finland, Lenin continued to work and maneuver for control over the rising communist Russia, publishing books and articles (in Pravda, the Bolshevik Party organ) in which he denounced the battle of the capitalist powers for the markets and cheap labor. 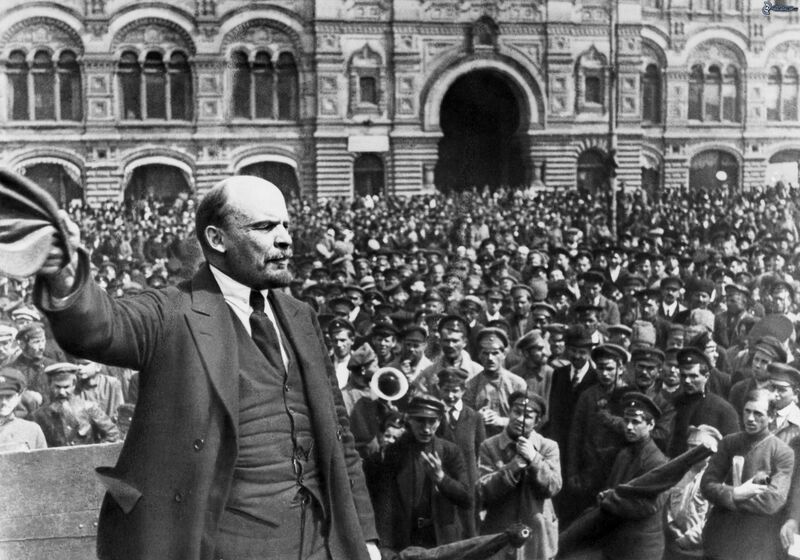 The Provisional Government that had replaced the tsarist regime was weak and unreliable and Lenin, from his exile, seized the opportunity to denounce it and to call the Bolsheviks for an armed insurrection. The country needed reforms and changes, and the Revolution of October 1917 promised to free the people from capitalism, corruption and inequity. Lenin slipped back to Russia and succeeded in bringing the Bolsheviks to power, reorganizing the numerous party factions into the large Russian Communist Party and the Russian economy according to the Marxist theories. He negociated a peace treaty with Germany in order to get his country out of the war but, despite his commitment to the communist utopia, the situation of the Russian industry and agriculture compelled him to grant concessions to foreign capitalists. Lenin’s vision of a future for a mankind freed from exploitation and oppression was deep and sincere and helped him become one of the brains of the Communist International, known as Comintern, in 1919. Unfortunately, his successors, starting with Joseph Stalin, General Secretary of Russia (of the Communist party), perverted Leninism and betrayed Lenin’s dream of an ideal socialist society, leading to seventy years of brutal, rude and tyrannical regime for the Soviet Union.